The growth of textile mills in the middle of the 19th century brought new opportunities to young women in rural New England. Though the days were long and the toil hard and dangerous, factory work provided financial independence and freedom of movement unknown to women of previous generations. But along with opportunity came new temptations and new perils. 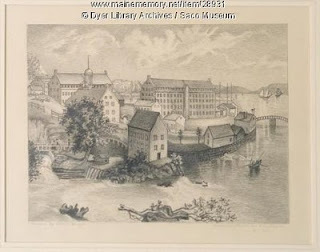 A body, identified as Mary Bean, a young factory girl who was treated for typhoid, was found floating in a culvert in the mill town of Saco, Maine, in April 1850. Her real name was not Mary Bean and her condition was not typhoid. When the truth was learned, the story of Mary Bean's death became a cautionary tale exhorting factory girls to guard their virtue. On the afternoon of April 13, 1850, 14-year-old Osgood Stevens was helping a neighbor clear a clogged brook in Saco, Maine. One especially stubborn plank wedged in a culvert was giving him trouble. When he was finally able to flip it over he could see why - tightly bound to the whitewashed plank was the body of a young woman. She was dressed as if for bed, wearing just a thin shift and blue stockings; on her head was a nightcap. Covering her face was a child’s calico apron, and underneath it her face had been gnawed away by rats. The stench from the body was overpowering. Before long a crowd gathered around the body and someone sent for the constable and the coroner. They hastily convened an inquest jury who concluded that she had died as a consequence of an abortion, which, by Maine law, was considered murder. A number of people were able to identify the girl, primarily from her long, and, in life, beautiful, black hair. She was Mary Bean, who before her disappearance, had been living at the home of Dr. James Harvey Smith. This was verified when someone recognized that the distinctive pattern of the whitewash on the plank was the same as Dr. Smith’s stable. Sure enough, one stall in the doctor’s stable had a missing plank. 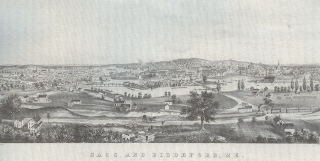 Dr. Smith had come to Saco as part of the recent influx in population resulting from the growth of factories and its accompanying prosperity. Dr. Smith was a “botanical doctor,” he used only herbal remedies and was probably not university trained or in any way accredited. He was born in Vermont and had traveled around New England before settling in Saco. It was rumored that Smith was not his real name and that he had a shady past. In Saco he had been investigated, along with several of his associates, in the murder of Jonas Parker, a businessman and tax collector who had been robbed and killed in 1845. And, Dr. James Smith was a known abortionist. At the time, the laws surrounding abortion in Maine were somewhat murky. Prior to 1841, social, religious, and legal custom said that prior to “quickening” – when the mother can feel the fetus move (around sixteen weeks) – abortion was permissible. An 1841 law made abortion at any point in the pregnancy a crime. At the same time, abortifacients, sold over the counter as menstrual regulators or emmenagogues, were readily available. Proving that a patient had procured an abortion, rather than being treated for mestruaral blockage, meant proving that she was pregnant. At the time there were no tests to prove this prior to quickining. Three days after her autopsy and subsequent burial, Mary Bean’s body was disinterred so that physicians could continue their investigation. Her reproductive organs were removed and preserved and she was buried again. When Dr. Smith was accused of killing Mary Bean while performing an abortion, Smith said, no, she had died of typhoid. The body was disinterred once more to look for signs of typhoid. As the investigation widened, Mary Bean’s lover was found. He was William Long, a 21-year-old machinist working on Factory Island. He admitted that he had contacted Smith the previous autumn about terminating a pregnancy. The woman involved, however, was named Berengera Caswell not Mary Bean. When Berengera informed William Long that she was pregnant, Long sought council from his supervisor Mr. Blake who introduced him to Dr. Smith and fronted him the ten dollars Smith required for the abortion. Long asked Dr. Smith if he wanted to know the name of the girl involved, Smith laughingly said “no” and called the girl “Mary Bean.” "Bean" was a code word he and his associates had used previously to hide nefarious activity. Berengera Caswell had come from Brompton, Quebec with her sisters, Ruth and Thais, to work in the textile mills of New England. Following the route taken by thousands of young women before them, the Caswell sisters went first to factory town of Lowell, Massachusetts. 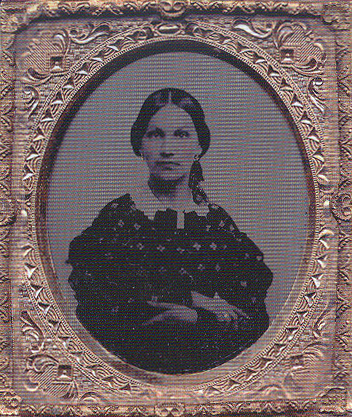 Ruth married and remained in Lowell while Berengera and Thais moved to Manchester, New Hampshire to work at the Amoskeag Mill. There Berengera met William Long who worked in the machine shop at the mill. They began a romance in the summer of 1849. That September William Long was fired from his job and decided to move back to his hometown, Biddeford, Maine, to look for work. A week after William left, Berengera packed her belongings and left alone for Salem, Massachusetts. By November she realized she was pregnant. She packed again and went looking for William. 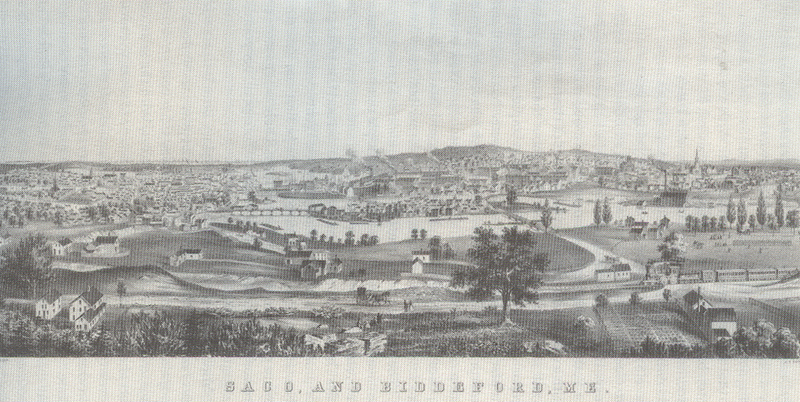 On November 26, 1849 Berengera took a room at a boarding house in Biddeford, Maine, and found William, who was now working at the Saco Water Power Company. It is not known whether marriage was discussed when the two met but in the end they decided on abortion. William took her to see Dr. Smith. Berengera moved into Dr. Smith’s house while he treated her. Smith first tried an herbal method of abortion, giving Berengera extracts from a juniper bush which contains savin to stimulate uterine contraction. When this did not work, Berengera agreed to a more drastic approach. Using an eight inch wire instrument with a hook on the end, Dr. Smith attempted to scrape loose the fetus. The abortion was successful, but in the process Dr. Smith punctured her uterus leaving a four inch gash. The wound quickly turned septic and infection spread through her body. She lay at Dr. Smith’s house for a week suffering from pain and fever, then on December 22 she died. 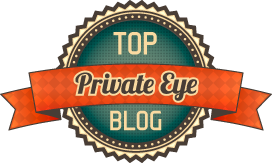 Dr. Smith needed to get rid of the body to avoid drawing attention to his abortion practice. He tied it to a plank from his stable and placed it in Woodbury Brook which ran near his house. From there he expected it to travel to the Saco River and ultimately into the ocean. He did not know that the body had only traveled a few yards before getting stuck in the culvert. A coroner’s inquest was held in April 1850 amid great public interest and sensational press coverage. The largest meeting room in Saco had to be used to accommodate more than 600 spectators. Several doctors testified as to Berengera’s condition in explicit detail, using language too graphic for the newspapers. Several of Dr. Smith’s neighbors testified to his ongoing abortion practice and William Long told of taking Berengera to Dr. Smith’s house for her abortion. 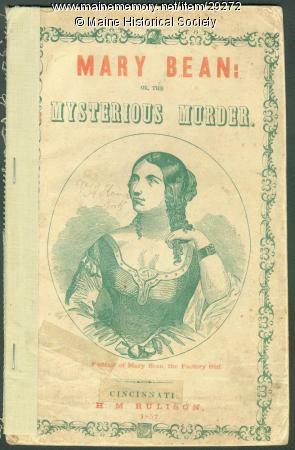 The star witness was Ann Covney, a twelve-year-old Irish immigrant who was working as a hired girl in Dr. Smith’s house at the time of Berengera’s death. She testified to seeing Dr. Smith use abortion tools on Berengera and other girls, and she was an eyewitness to Berengera's death. Dr. James Smith was charged with murder. After two hours of deliberation, the jury reached its verdict— guilty of murder in the second degree. Smith was sentenced to life in prison. Nathan Clifford appealed the verdict, using the convoluted nature of Maine law to argue for a reduced sentence. The charge was murder because a death occurring during the commission of a felony was considered murder. A felony was defined as any crime that is punishable in the state prison. Maine’s abortion law had two possible punishments, state prison or a fine plus time in county jail. He also argued that the abortion law punished those with intent to destroy an unborn child, but the indictment charged Smith with “intent to cause and procure the said Berengera to miscarry and bring forth the said child.” In legal terms a miscarriage could bring forth a live, viable child. 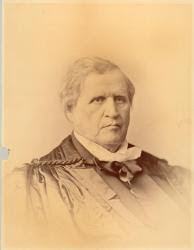 In April 1852 the Maine Supreme Court overturned the murder verdict and, since Smith had already served enough time for a manslaughter sentence, he was set free. 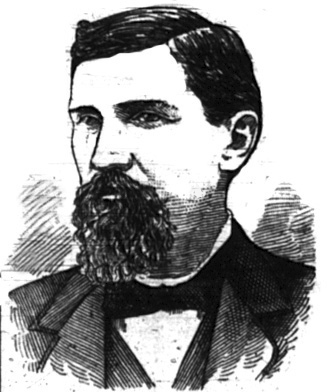 Smith died three years later of tuberculosis, probably contracted in prison. The story of Berengera Caswell’s death was told in two short books, Mary Bean, the Factory Girl; or The Victim of Seduction published in 1850 and A full and complete confession of the horrid transactions in the life of George Hamilton: the murderer of Mary Bean, the factory girl in 1852. 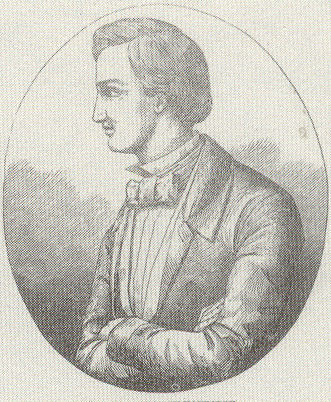 In both books William Long was renamed George Hamilton, and portrayed as an evil seducer who was much more a vile cad than his real-world counterpart. They were both cautionary tales; the first warns young women to shun temptation by saying home, close to hearth and family; the second warns young men of the dangers of evil companions. Thais Caswell planned to take her sister's body back to Quebec but it proved to be impractical. Berengera Caswell is buried in Manchester, New Hampshire. Her name was added to the family monument in Greenlay Protestant Cemetery in Quebec. Finally, an editor who works for free.